Fill out the form below for a custom quote for your next company event! As arguably the trendiest city in the Bay Area, Oakland is one of our favorite destinations to play The Go Game. Filled with amazing restaurants and even cooler people (including most of our staff), you'll find surprises waiting around every corner. Take your team out for a well-deserved break and see for yourself just how great this is. To see our full list of games, click here. Go undercover and save your company from the bad guys! It was a great time with the colleagues! Definitely helped mingle some folks whom we only knew professionally. Relax and take in the Bay views in this Oakland game zone. As one of the oldest neighborhoods in Oakland, Jack London Square is perfect for a Go Game event of any size. Test your Jack London trivia at First and Last Chance Saloon. Take some epic team photos with the seagulls by the water. And eat your way from restaurant to restaurant along the waterfront. We're happy to wrap up just about anywhere. Back at the office? Your favorite restaurant? Let's do it! Located smack dab in the middle of Downtown Oakland, Frank H. Ogawa Plaza is filled with plenty of things to do during your next team outing. Adventure through one of the top cities in the country as you answer trivia and complete some of the Go Game's hilarious challenges. Your team will not be disappointed. We promise. Downtown Oakland has so many tasty restaurants. We can wrap up your game at just about any of them. Don't see your desired neighborhood listed here? Let us know, we can create one for you anywhere! Want More Stories About How We Do Things? Read about our incredible staff of Game Producers and how we've designed games around the world. Does your team need to let loose? Are you looking to help your colleagues bond or boost morale? Let us warm them up and break the ice. We’re experts in networking that actually works. Our Game Producers can kick off any of our games with some smaller icebreakers that won’t make your team roll their eyes. 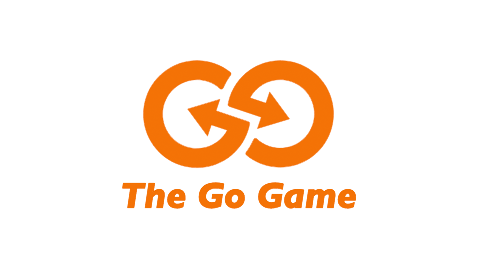 Indoor Go Games Rock Winter! It’s (getting) cold outside. We’ve got indoor games to heat up your winter. No need to bundle up; all of these games can be done indoors do you don’t need to shovel or plow to get playing. Take a winter break for the afternoon and help your team play as hard as they work.